Making stops in North and South America, Europe, Asia, Africa, and Australia, this edition rounds up some of today's most exceptional and inspiring interiors across six continents. From rustic minimalism to urbane eclecticism, the selection celebrates a global spectrum of styles, united by authenticity, a love of detail, and a zest for individual expression that will never go out of fashion. 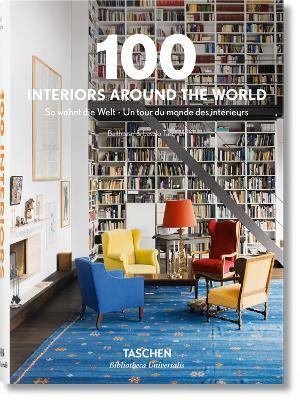 With pictures by leading interior photographers including Xavier Bejot, Pieter Estersohn, Marina Faust, Reto Guntli, Francois Halard, HieplerBrunier, Ditte Isager, Nikolas Koenig, Ricardo Labougle, Eric Laignel, Ake Lindman, Thomas Loof, Jason Schmidt, Mark Seelen, Rene Stoeltie, Tim Street-Porter, Vincent Thibert, Simon Upton, Paul Warchol. "Dieser Bildband ist genial. Nicht nur, weil er inspirierend ist im Hinblick auf die authentische Einrichtung der eigenen vier Wände, sondern weil er die Augen öffnet für das globale Stilspektrum und die kulturspezifische Ästhetik anderer Länder und Metropolen - von rustikalem Minimalismus bis zu urbanem Eklektizismus." "A fantastically indulgent, immaculately shot feast of contemporary homes from all corners of the globe - traditional and avant-garde, rustic and glossy, weird and wonderful." "A brilliant source of inspiration for your next refurb, this is a high-quality book at an affordable price."